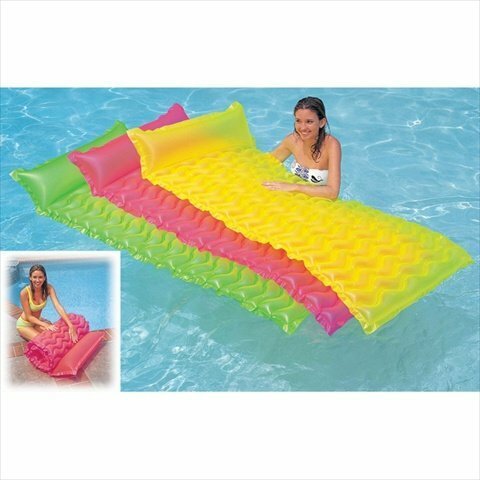 Color: Green The SunSplash Smart Float is a wonderful pool float. The reason it is "smart"is because of the fact that it is very thin, yet very buoyant and supercomfortable. The waffle design would make you believe that you are floating onair. Also, the thinness allows the cooling temperature of the water to flowthrough the float, creating a relaxing experience. The float will never pop orbreak because of the high gauge vinyl material used for the design, makingthis float perfect for your pool, in any situation.